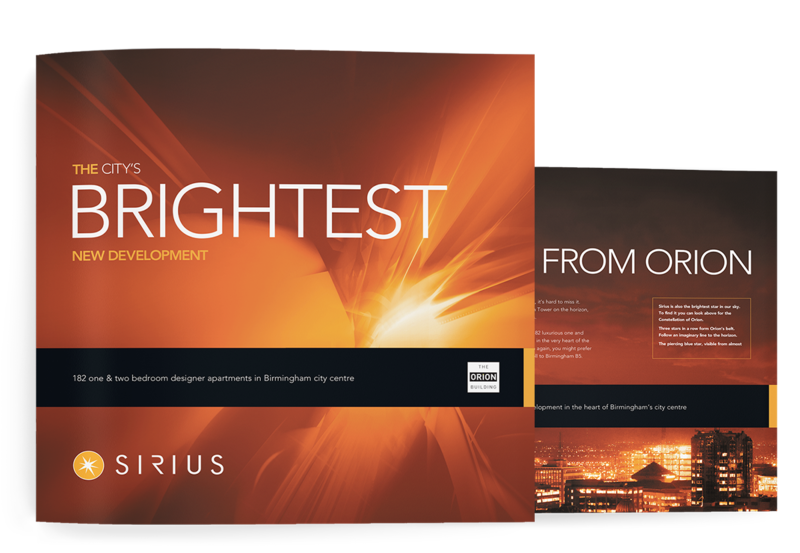 This was the final phase of a landmark development in Birmingham city centre, which featured the iconic 26 story Orion Tower. ‘Sirius’, on John Bright Street, housed 182 luxurious one and two bedroom apartments. The development had been marketed for some while, so as this was the final phase, there was a need for a fresh new approach to give the scheme a new ‘push’. The existing identity for The Orion building, was very subdued and predominantly black and white, so it was felt a completely different concept was required. 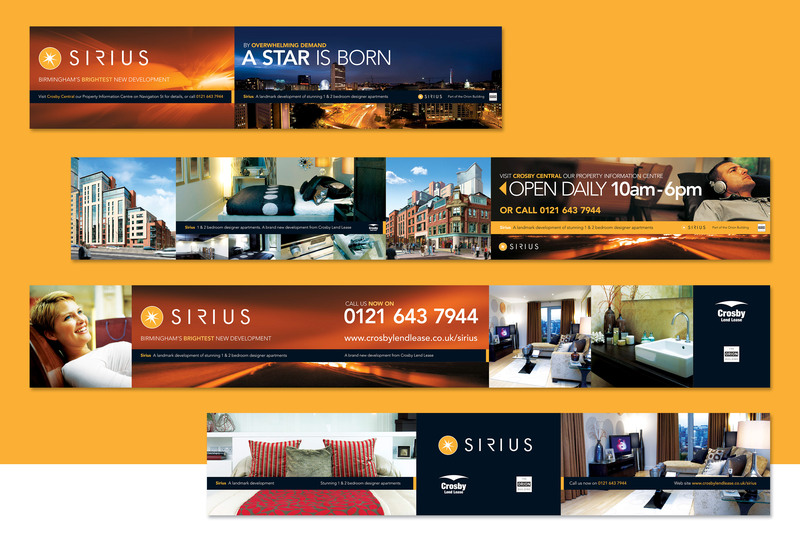 Lying to the south east of the Orion constellation and burning brighter than any other star, our chosen name ‘Sirius’ perfectly reflected the position, theme and impact of the Crosby buildings. 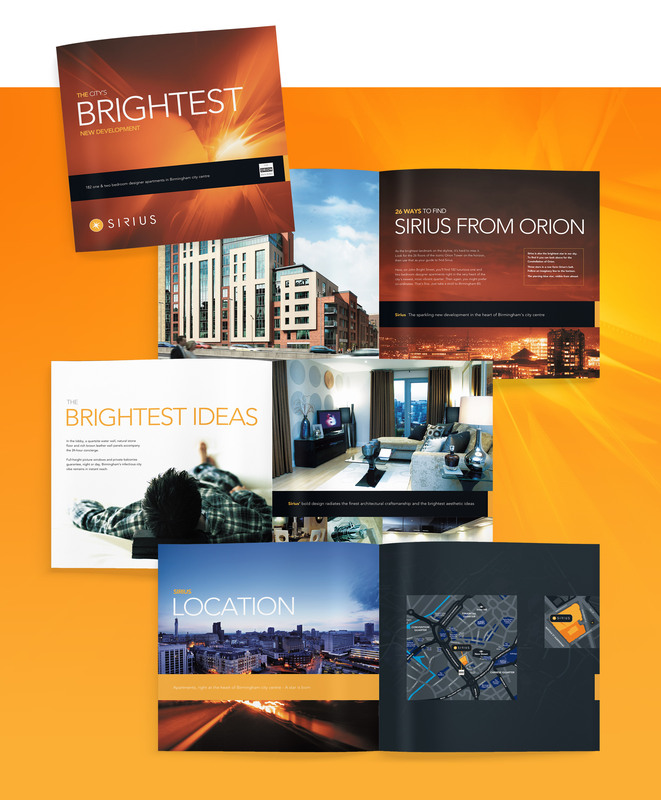 To contrast the subdued Orion Building literature, we coupled strong images with specialist printing inks. Hoarding, marketing suite graphics and direct mail completed the effect, as well as an advertising campaign during the build and sales process. 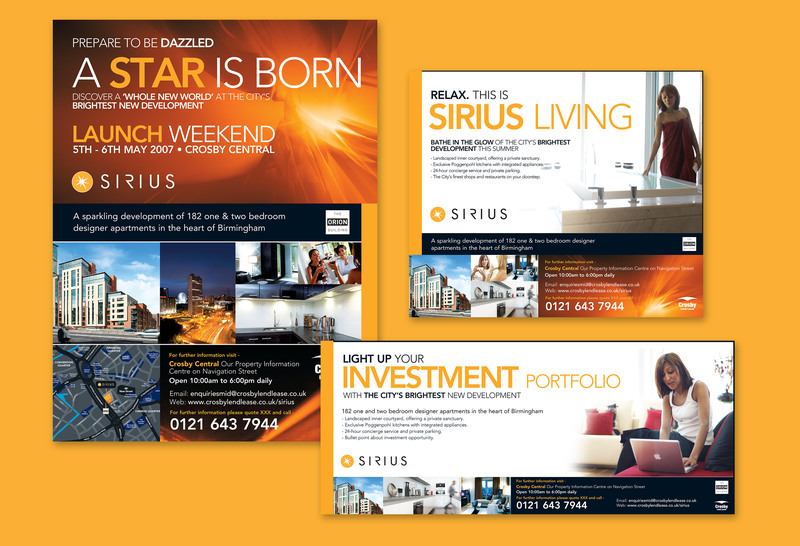 The concept was rolled out across adverts in the local press, primarily to promote the development to the investor market, as investors made up over 90% of the purchasers at the scheme. Long runs of city centre hoardings were designed and installed around the development, to make best use of the prominent position of the site and the high volume of ‘passing traffic’ on the nearby roads. A challenging brief and a tight deadline! I was delighted with the concept and how Lines worked closely with us to ensure delivery on time and on budget. Lines understood the importance of branding which can be adapted through the lifecycle of the development.